Do you need legal advice about Japan visa and immigration procedures? Marriage, divorce, bringing families, inheritance, naturalization etc..we can help you with any issues related to your life in Japan. Let us hear your problems and let’s think of a solution together. 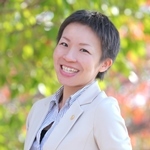 Hiroshima, Kure, Fukuyama, Higashi-Hiroshima, Miyoshi, Shobara, Jinseki-kogen-cho, Sera-cho etc I can come and have a face to face consultation with you. Are you looking for a job in Japan and seeking supports for a Japan visa? Are you looking for information about the Japan immigration system and how to apply for a working visa in Japan? Having lived abroad myself, I have first hand experience of how difficult it can be dealing with your visa. It can be a stressful time worrying about how to extend the duration of your stay especially as the expiry date approaches. This website is here to give you ideas about how you can come to Japan with an appropriate visa and how to continue to live in Japan by maintaining your visa ( zairyu card ) when you get married, get divorced, change a job etc. Who knows, you might also want to get a permanent visa, or even want to become a Japanese citizen one day. Problems about visas can be complicated depending on your nationality and the situation. It does seem complicated and in some case, it may be so, but it is not impossible to resolve your situation. We can help you with any issues related to your life in Japan. Don’t hesitate to get in touch. Let us hear your problems and let’s think of a solution together. Note: On this website, the word “Visa” is not only used to refer to the actual “Visa” itself but also as “Status of Residence ( zairyu card )”, since that is how this term is commonly understood amongst people in Japan. For example, people typically say things like “I have a spouse visa” meaning, “I hold the status of residence as the spouse of a Japanese national”. Copyright © Visa Navi Japan All Rights Reserved.